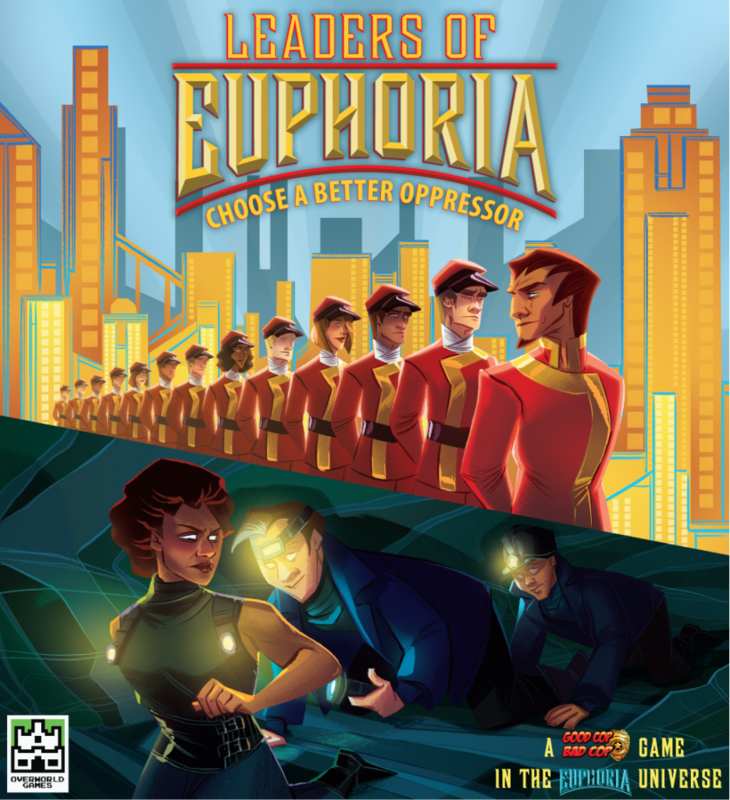 Leaders of Euphoria is a dystopian game of strategic deduction. The story of Euphoria continues in a spin-off (not an expansion) designed and published by Overworld Games, a company that specializes in large-group social/deduction/bluffing games. It’s a 4-8 player social deduction game in the style of Good Cop Bad Cop and set in the Euphoria universe. Find your allies, expose the enemy team’s leader, and eliminate them to win the game! But don’t shoot the wrong person, or they will join a new third faction – and target either leader for the win! 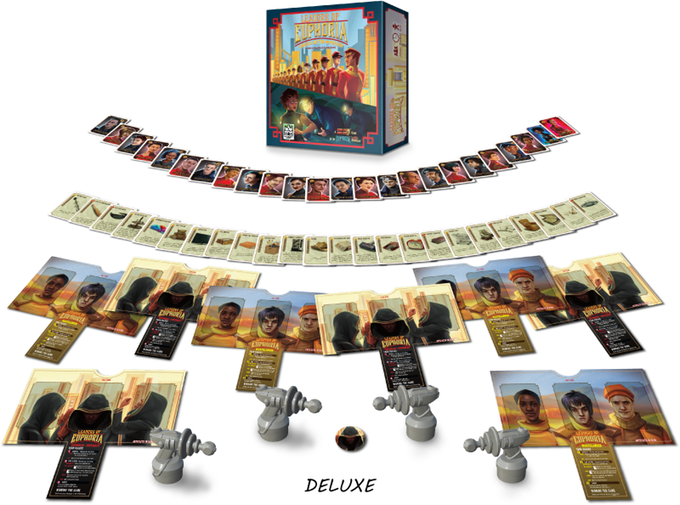 Estimated release in spring 2017 from Overworld Games.